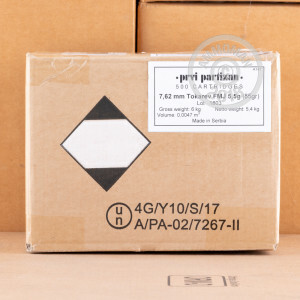 This new production ammunition from Prvi Partizan is a great choice for TT-30s and other 7.62 Tokarev pistols. 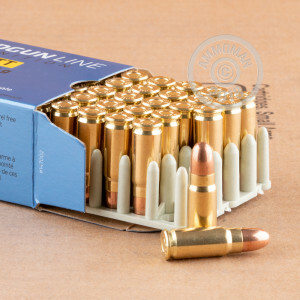 Manufactured in Uzice, Serbia using non-corrosive Boxer primers and reloadable brass cases, this ammo delivers better performance and reduced wear and tear compared to old surplus ammo. These cartridges are a bit more powerful than your typical 7.62 Tokarev target load, delivering a muzzle velocity of 1,722 feet per second. Developed by the Soviets as an improved version of the 7.63x25mm Mauser pistol cartridge, the high-velocity 7.62 Tokarev has seen use in a variety of Eastern Bloc firearms. The most notable of these are the TT-33 pistol and the PPSh-41 submachine gun, both of which served extensively on the Eastern Front of World War II. 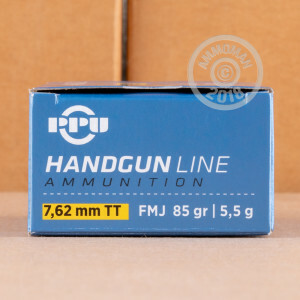 AmmoMan.com is a great place to acquire some of this unusual ammo in bulk quantities. Spend more than $99 on a single order to get FREE shipping!